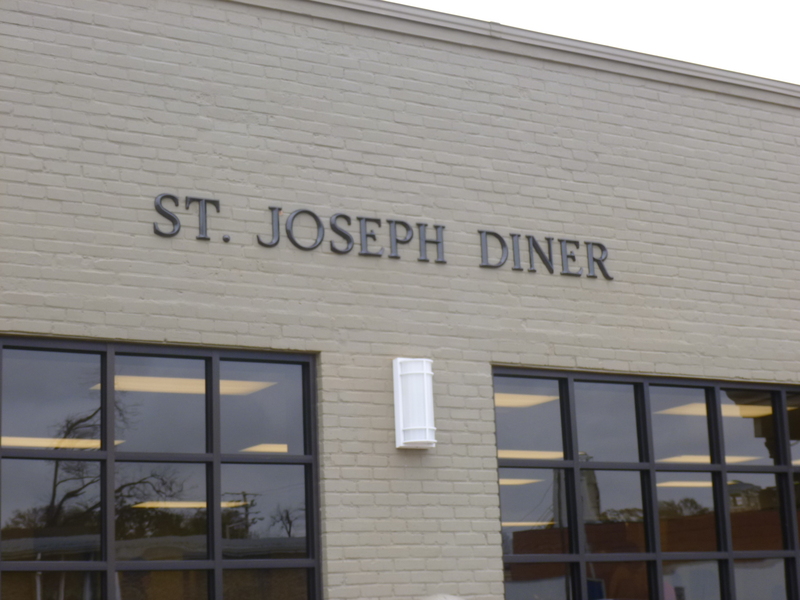 One of my first stops today was the St. Joseph Diner, which is a full-service soup kitchen run by the Lafayette Catholic Services Center. They serve about 200 breakfasts and lunches every day with no questions asked, and simply request that the recipients be respectful to each other and to the volunteers. They also deliver meals to the homebound. I found the “diner” and the security guard let me in the side door so I could talk with the volunteers to see what might be needed most. The answer was quick – breakfast meats – they needed bacon and sausage! They were getting ready for lunch and had about 8 tables set up with a bunch of chairs. The meal smelled good – they were beginning to dish up onto divided trays – no paper plates here! There were even little Christmas trees decorating each table. There were quite a few people lined up outside the front door waiting for their meal. After talking with them, I went to a nearby Piggly Wiggly and got as much bacon and sausage as I could. I took it back, and the diner was full of people enjoying lunch. The security guard took the bags since the volunteers were all busy, and I also told him about the sleep mats they’d given me back in Mandeville. He said he would be happy to take them, and could get them over to the homeless shelter. 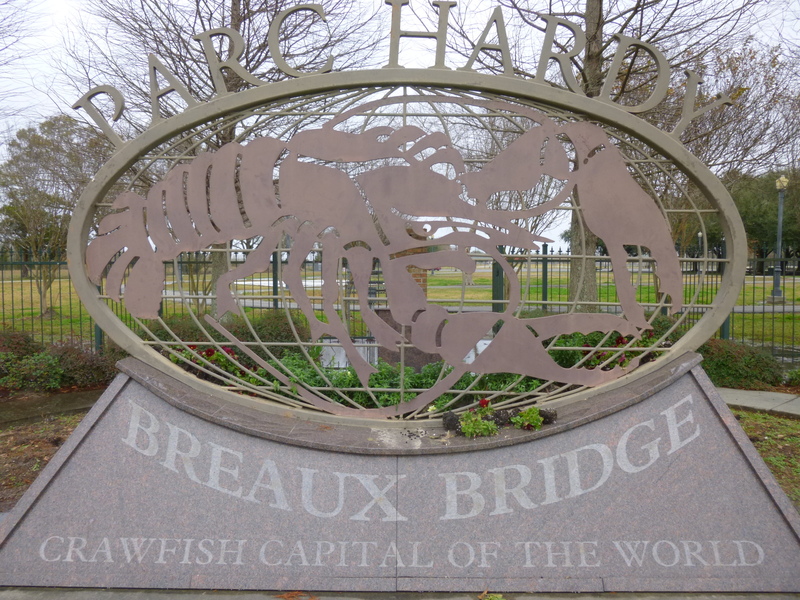 From there I drove to Breaux Bridge, which claims to be the crawfish-capital-of-the-world. 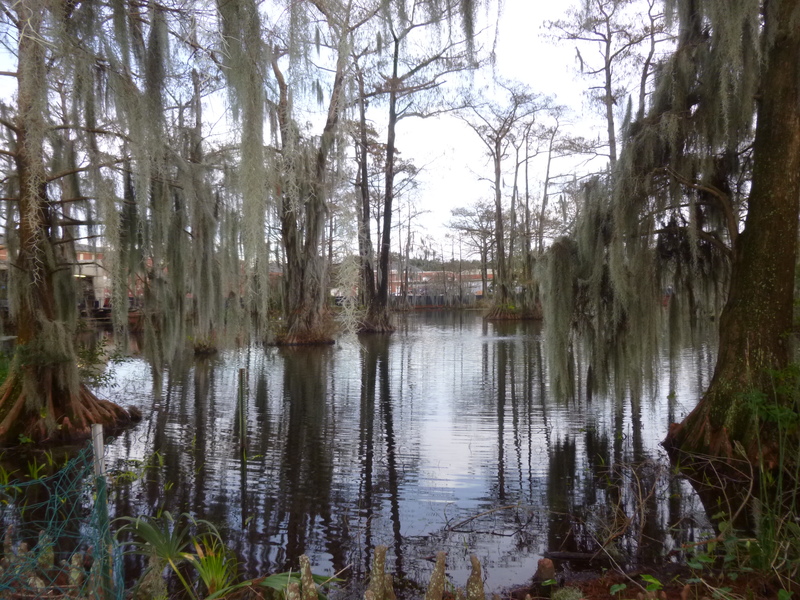 This is where I saw the Bayou Teche for the first time, and read the legend about the huge snake that it is named for. Legend has it the snake was measured in miles, not feet, and attacked the ancient villagers, and it took many years for warriors to kill it. 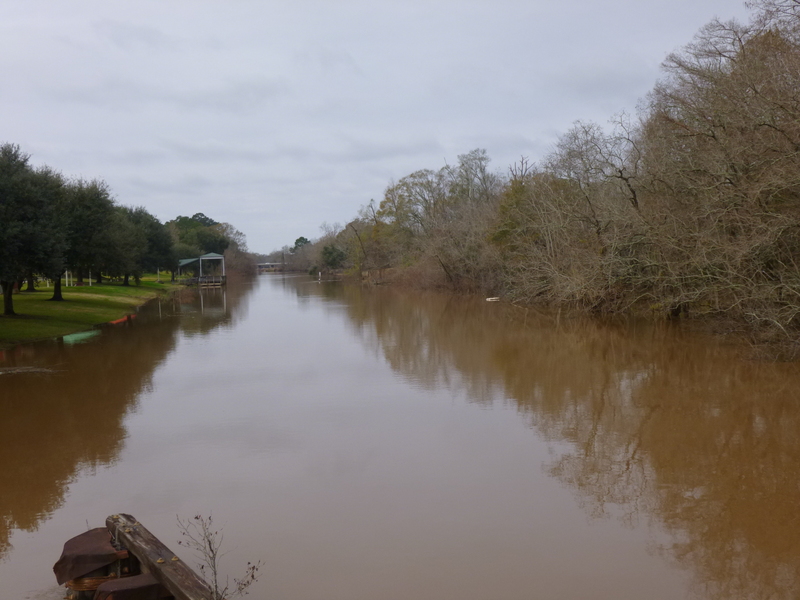 The huge carcass left a depression in the earth, and that’s how the 125-mile long curvy Bayou Teche got its name. There are numerous drawbridges so boaters can get out to open water. 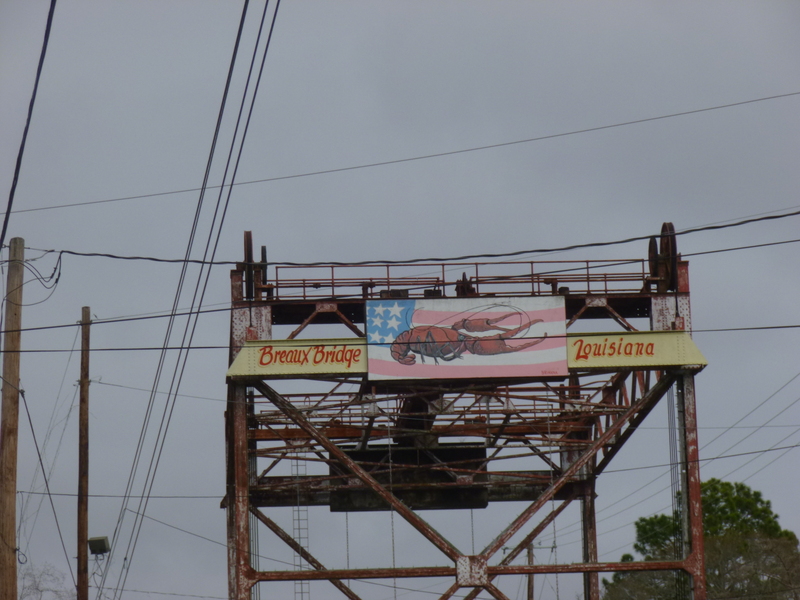 The historic part of Breaux Bridge wasn’t very big, and I wasn’t able to get much walking in – just about a mile and a half or so. 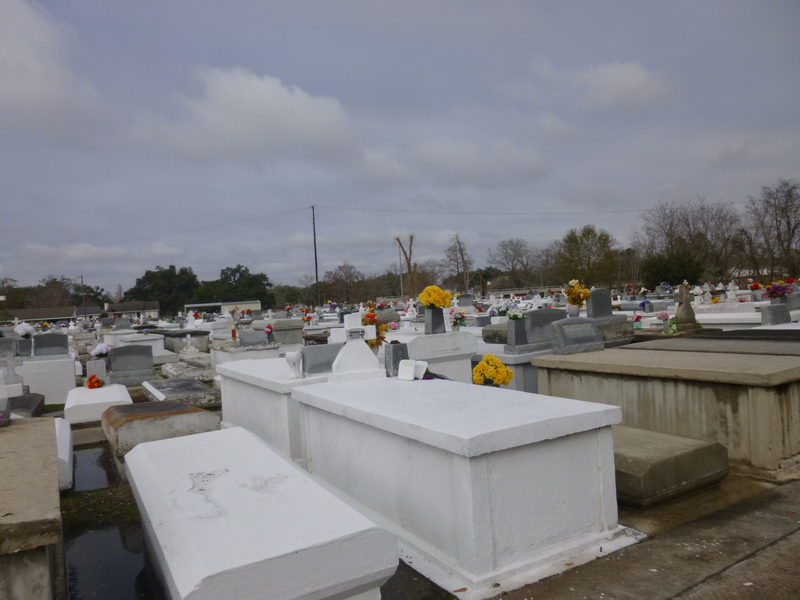 The cemeteries here are very different – the ground is so wet that many graves are not dug in the traditional manner, so they seem to make use of above-ground tombs and crypts that are jammed up together side by side. 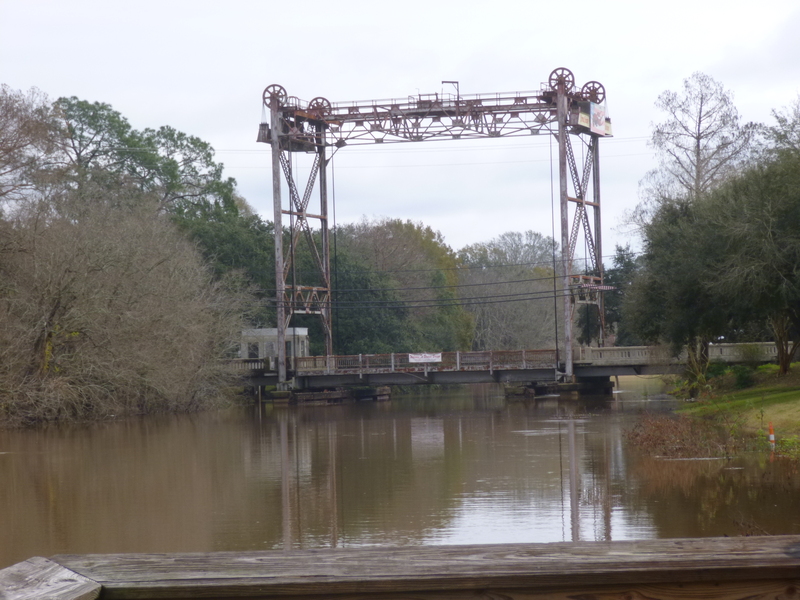 After Breaux Bridge, I headed back to Lafayette. I found the University of Louisiana at Lafayette campus and walked through some of that, and that led to a big park with a long walking trail, so we walked around that a couple times, and then through another part of the campus (strangely quiet – maybe they still have another week off) and into a pretty adjoining neighborhood. 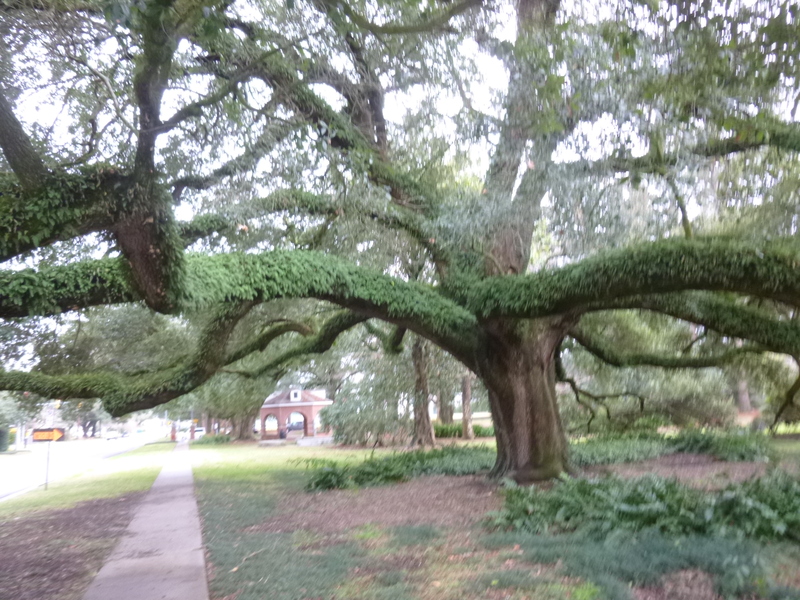 There are some enormous oaks around here, with huge branches that have ferns growing on them! Then I put Tula in the van and walked the parts of the trails near the pond that had a lot of ducks – she would have wanted to chase them! 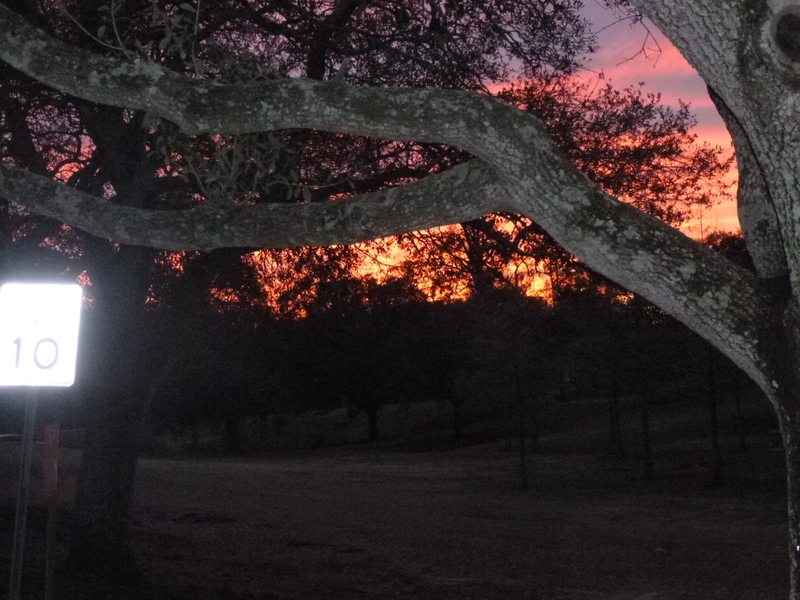 So I finished my walking. Then I found a laundromat – time to deal with that chore again! And then a meal at Cracker Barrel since they were open late, and I called it a day. 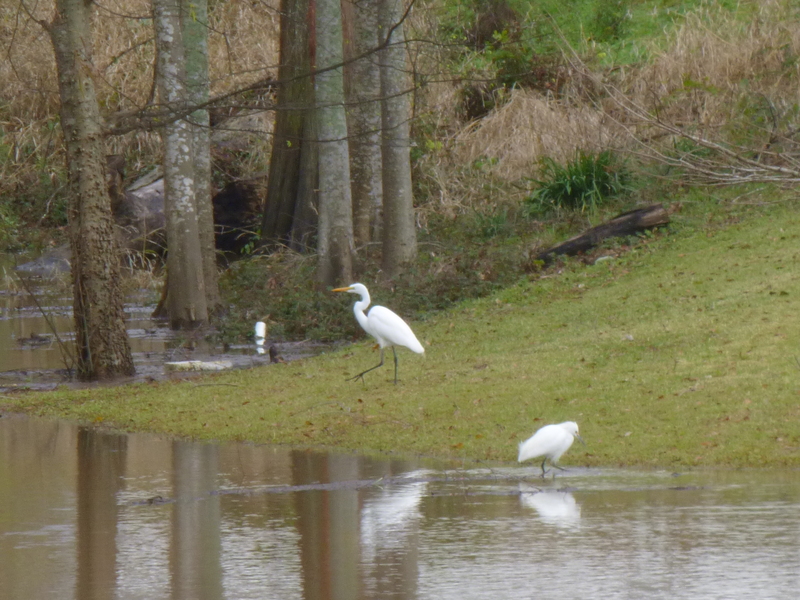 My sister in law lives in La Blanc and I have heard her talk about Lafayette. Thanks for the descriptive post.